This little grizzly bear cub found a clever way to keep his little paws from getting cold while his mum hunted for food in the freezing snow. 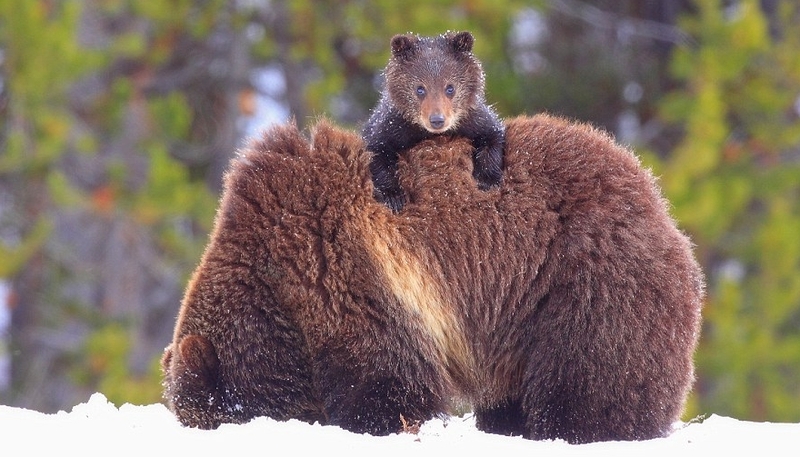 The months old youngster hitched a ride on his mother’s back, clinging on tightly to keep his paws off the ground. 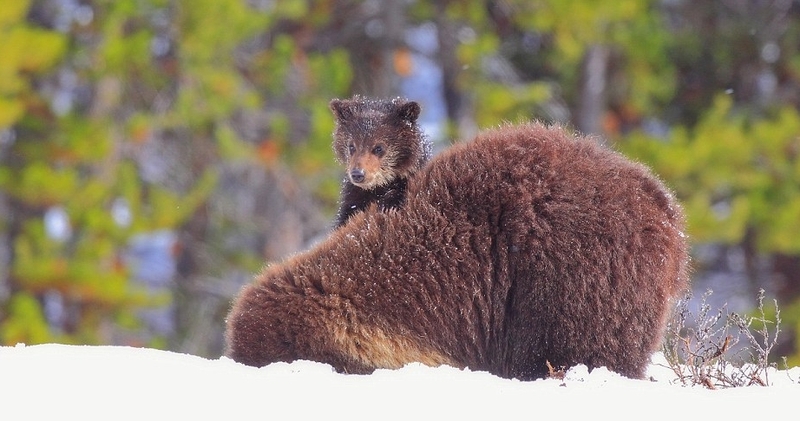 The mother is so strong that she didn’t seem at all bothered when her cub sat on her back as she worked. 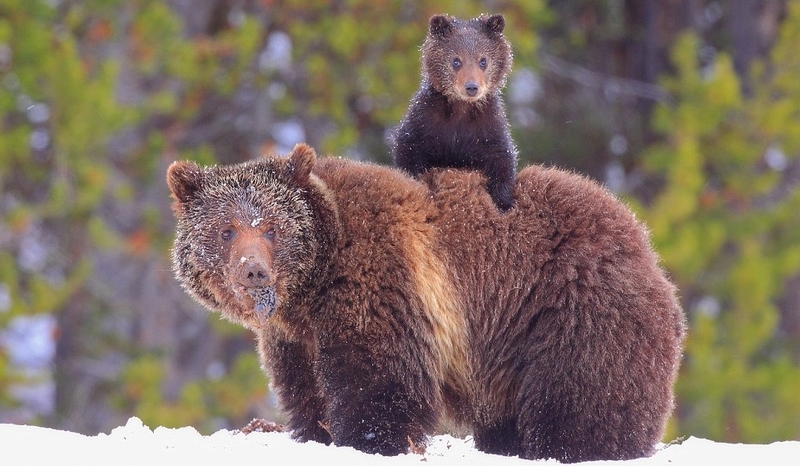 Steve Hinch photographed the pair from a safe distance in the Yellowstone National Park, Wyoming. 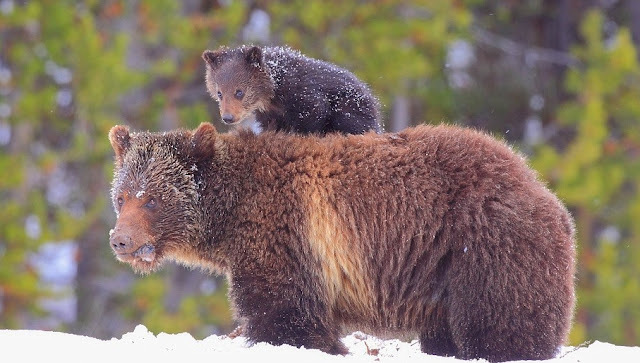 The 42-year-old said: ‘The grizzly was digging up voles in the meadow and as she had her head down the cub took his chance to climb up. I viewed the bears a couple of times and the cub would climb on to the sow's back and just sit there. 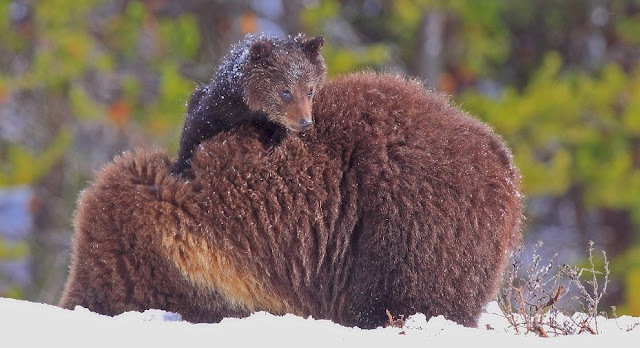 Responses to "Keeping my paws from getting cold: Grizzly cub hitches a ride on his mother's back"